In under a year the country will go to the polls. Will you make the most of the opportunity presented by the election to advance your policy goals? Or will you waste it by taking a ‘tick box’ approach? By ‘tick box approach’ I mean treating the election as a stand-alone event that requires a campaign all of its own rather than integrating it into your existing influencing strategy. Perhaps the extent of your election campaigning will be to produce a wish list of policies, publish it as a manifesto and send it to every sitting MP and parliamentary candidate in the country? In this scenario, election campaigning is an activity to be ticked off with little thought as to how and why your actions could lead to change. Of course, a manifesto can be a valuable influencing tool. The process of producing one can be a useful exercise in itself as it helps you to clarify exactly what it is you want government to do. To be fully effective a manifesto needs to be part of a robust influencing strategy. The point is to think strategically about how your manifesto (or other tactics suited to election time) can be used to your advantage rather than simply publishing a manifesto because there’s an election coming up. You need to articulate the change you want to see in the world and identify specific policies that, if implemented in the next parliament, would make that change happen. You probably already know what those policies are because you are probably already campaigning for them. So if you do decide to publish a manifesto it is likely to be a restatement of existing goals. Once you know the policy outcomes you seek, the next step is to communicate them to – and secure commitments from – people who have some likelihood of becoming policymakers and influencers in the 2015-20 parliament. There are plenty of approaches you could take. You should consider possible actions and explore how and why each option is likely to lead to the policy outcome you want (or not). You could send your manifesto to every MP and candidate, but I prefer a more targeted approach. Your manifesto will be noted by some people but binned by many more – not because it isn’t a great document but because it will be competing for attention alongside numerous similar tomes. You need to give the MP or candidate a reason to elevate your concerns above those of others. A manifesto alone is unlikely to shift policy ground unless you use it to leverage productive long-term working relationships with present and future parliamentary allies. Target your communications on the MPs and candidates who are likely to win and who already have an interest in your policy area. In 2005, when I was working at Breakthrough Breast Cancer, my team and I secured an election commitment from the Prime Minister to reduce waiting times for breast cancer referrals to two weeks. The target was adopted during the 2005-10 parliament and eventually a version of it became part of the NHS Constitution. We had been campaigning for the new target since 2003 but it was the opportunity of the election that enabled us to tip the balance in our favour. We arranged for the Secretary of State (and health spokespeople from the other main parties) to meet women to talk about their experience of long agonising waits to find out if they had breast cancer. Politicians were convinced that adopting our policy on waiting times could help them connect with a key section of the electorate. There are some good examples of effective election work going on in the not-for-profit sector right now (although I’m not sure all of the organisations involved would label their efforts ‘election work’). Mind launched its General Election manifesto in June. It’s a really good document which manages to boil down a huge policy agenda into six clear commitments the charity is asking the next government to make. Mind has clearly described what the government needs to do in its first 100 days, first year and by the end of the parliament to improve services for people with mental health problems. The six commitments reflect Mind’s existing goals so the manifesto makes sense in the context of the charity’s previous and future influencing work. The Equality Trust has a long-standing aim to reduce income inequality in the UK. It is asking political parties to commit to the principle that the net impact of their policies will be to reduce the income gap between the richest and the rest. The Equality Trust is generating significant media and public debate about income inequality which should help make the subject difficult to ignore if and when delegations from two or more parties sit down to negotiate a new coalition agreement after polling day (a likely scenario). Kids Company’s new campaign See the Child Change the System seeks to mobilise public opinion behind the need to redesign children’s services. Camila Batmanghelidjh has given up trying to privately persuade politicians to do something about the crisis in children’s services. Instead, she wants voters to speak up on behalf of vulnerable children and hold politicians to account. Surely the timing of this campaign – in the run-up to an election when politicians are more sensitive than usual to public opinion – is no coincidence? There are plenty of ways in which your charity can influence policy in the run-up to the election, with or without publishing its own manifesto. 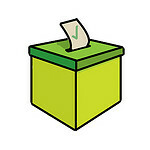 Whatever you decide to do between now and polling day, make sure you are not just ticking a box. Save that for 7th May 2015 when you mark a cross on your ballot. This blog first appeared on Emma's website. Sign up here to receive Emma's newsletter including future blog posts. Emma is an independent professional specialising in campaigning and influencing. She works with charities to devise effective campaigns and develop skills to get results from influencing activities. Before working independently, Emma spent a decade as a charity campaigner and Westminster insider, working for Breakthrough Breast Cancer, Asthma UK and the Prince’s Trust as well as for a backbench MP and minister.